Contemporary Art and Digital Culture analyses the impact of the internet and digital technologies upon art today. Art over the last fifteen years has been deeply inflected by the rise of the internet as a mass cultural and socio-political medium, while also responding to urgent economic and political events, from the financial crisis of 2008 to the ongoing conflicts in the Middle East. This book looks at how contemporary art addresses digitality, circulation, privacy, and globalisation, and suggests how feminism and gender binaries have been shifted by new mediations of identity. It situates current artistic practice both in canonical art history and in technological predecessors such as cybernetics and net.art, and takes stock of how the art-world infrastructure has reacted to the internet’s promises of democratisation. An invaluable resource for undergraduate and postgraduate students of contemporary art – especially those studying history of art and art practice and theory – as well as those working in film, media, curation, or art education. 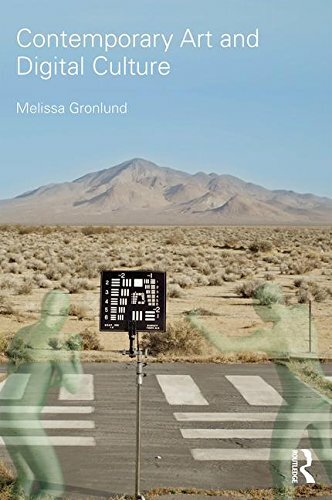 Melissa Gronlund is a writer and lecturer on contemporary art, specialising in the moving image. From 2007–2015, she was co-editor of the journal Afterall, and her writing has appeared there and in Artforum,e-flux journal, frieze, the NewYorker.com, and many other places.